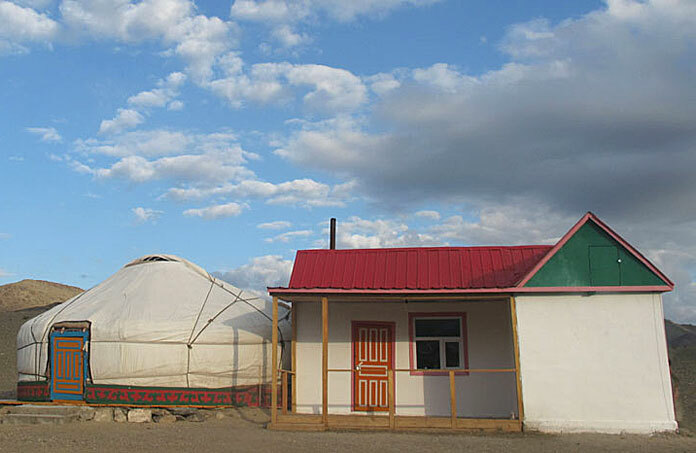 The Altai Expedition Ger Camp is located 2 km west of the Olgii Airport and 8 km from Olgii City. It was opened in 2009 and has 10 traditionally furnished gers and a restaurant. Each ger has 2 to 3 beds. 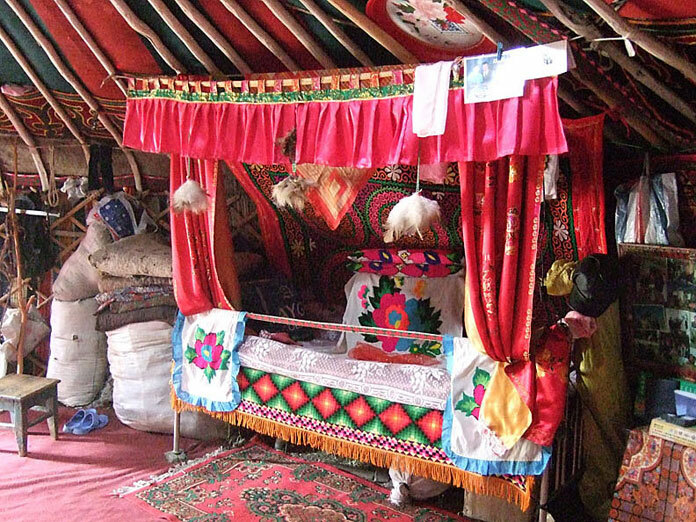 Ger stays and meals are included in the cost of tours with Altai Expeditions. The restaurant is in a specially built ger that serves Western, Asian, Kazakh, and Mongolian dishes. Try their Besbarmak, ‘Five Fingers,’ which is a delicious traditional Kazakh dish with meat, vegetables, homemade noodles, topped with parsley and potatoes. The ger camp has indoor restrooms with clean showers and solar powered hot and cold water. There is WiFi internet in the restaurant and regular live Kazakh music performances, souvenir shop, and Kazakh embroidery exhibits. The Altai Guesthouse, Eagle’s Nest, is located within easy walking distance of the center of town. It opened in May 2013. It is a 2 story brick building with a large courtyard. The building was designed by a New York based architect that was inspired Kazakh culture to design a modern, comfortable building that reflects the simple warmth of a typical Kazakh home. All rooms have spectacular views of the Altai Mountains and locally made custom furniture, Kazakh rugs, and embroidered blankets. 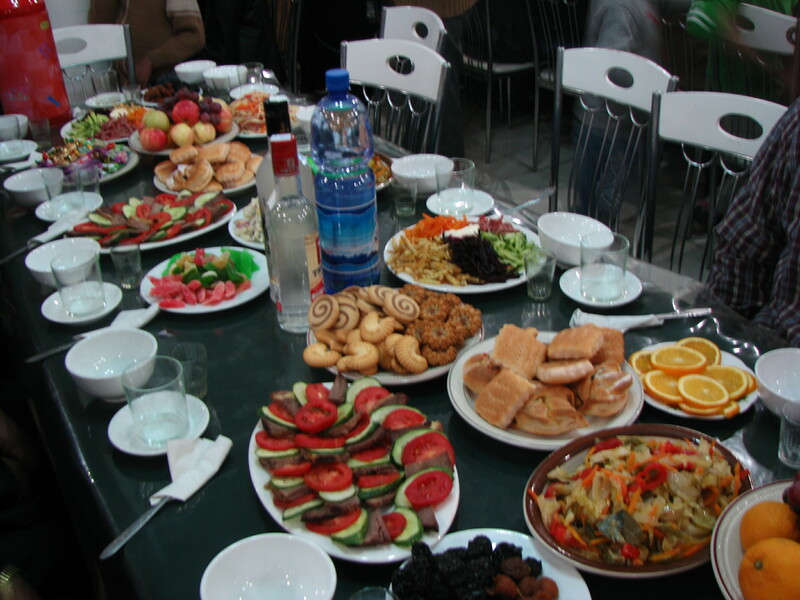 The restaurant on the ground floor serves both international and Kazakh cuisine and has a fully stocked bar. The lobby provides a space for selling Kazakh art as well as PCs, internet, printers, and scanners. Rooms have both cable and WiFi internet. Prices vary by season or be included in the price of a tour.